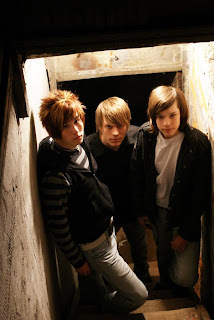 NotForgotten is a talented young band from Halgate, Ohio. This young and fun spirited trio not only brings an innovative form of alternative rock, but the importance of their music is their message. That message is hope, grace, love, but the most important message to the listeners is, “You are not forgotten”. 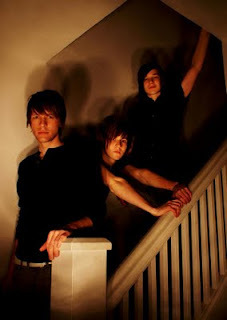 While most of the world has never heard of NotForgotten, the band has become a force within the local community having performed in many venues in the Ohio area within the last year and creating a buzz in the rock scene. After signing with the Grammy award winning legend, Frankie Biggz, NotForgotten is currently in the studio working on their first full length album and is targeting their touring lineup for the East coast and the Florida area. You mentioned the meaning behind Criminal and that it represented a former view point of your “former self”. Was this before you accepted the lord? And, did you guys lead a life that you aren’t proud of? Yeah, it's definitely about the life we lead before we knew Jesus, but It's also about our everyday lives. Just cause we know Jesus now, doesn't mean we're perfect! We're FAR from it. We make mistakes, and we wrote this song to remind ourselves that we're not the same person we used to be! Everyday is a NEW day! And we have to make a commitment everyday to die to our old ways. Since coming to know Jesus, do you find it easier to write lyrics to your music? ah, easier isn't exactly the right word, but it's more fulfilling to write music inspired by God, rather than writing to only girls or only about parties, we're writing about the ULTIMATE love! What does the name Notforgotten stand for? NotForgotten is more than our band's name. It's our mission. NotForgotten is our name because we're here to tell all the people that listen to us that YOU are NotForgotten! Because of the trials we've been through in our own lives, we know how it is to feel forgotten. We know what it's like to feel empty and hopeless. We've experienced what it's like to come home to see our parents involved with drugs, alcohol, and all that. We have all these issues like divorce, abuse, and we had to decide what we wanted to do with it. Did we want to continue the cycles of our families, or start something new? Do we want to live and play music for ourselves, or try to make the world a better place by writing songs of hope and love? Simply put, we just want to help kids that have gone through the same stuff we did. We hope our songs can make a rough day a little less rough, and a good day even better! In your off-time you guys like to do stuff like practice Ninja moves, play Super Smash Bros Melee, Air-soft, watch random Youtube videos of Pete & Pete, and chat on MySpace. Do you guys consider yourself just a regular group of dorks that just love to hangout, jam, and have a good time? We are TOTAL DORKS! Most people see us and think we're super cool or something, but really we're pretty weird. For example, I (Kevin) once broke by hand trying to do a ninja move on a gas station parking pole thing. I missed two shows because of it, lol! It's funny now, but we were mad about missing shows! Brandon is all about anime cartoons. It's like his soap opera or something! And Danny is 17 but still doesn't even have his driver's license. Not cool! You (Kevin) and Danny are brothers, right? Do you get along well with each other? Do you guys ever disagree and fight like normal brothers? We sometimes get into some quarrels, but we haven't fought seriously in a while. How did Brandon fit into the band picture? Were you guys always friends and took up musicial instruments together? Tell me how your band came to be. 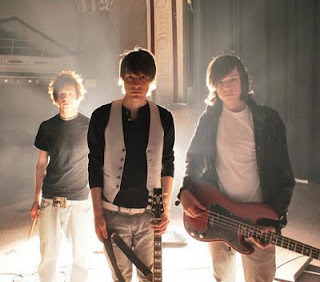 (Brandon) Well...When I was 14 my brother and a friend wanted to start a band. So we started jamming together and just trying to figure out how a band works. Then my brother met Kevin during baseball and found out that he plays guitar. So he asked Kev to join the band. Since then, we have made a lot of changes in the lineup. Kev and I have been playing music together for about 6 years and it has been a long and adventures road, but I have loved every step of the way! Danny and I get along great! He is always really quiet, but when we are in the band van he is always making jokes and laughing real loud! Ha-ha! What’s in store for Notforgotten? What can your fans and new fans can expect in the coming months? Well, we are releasing our album before the end of the year! Once that happens, we're touring in Spain and the U.K. It's going to be awesome! Plus we're sponsored by this really cool design firm that makes our stage outfits, and the new ones are almost done! So be on the look out for our debut self titled album! Check out a special 3-track preview on The Great Unknowns Presents. For information on tours and music news about NotForgotten, go to their MySpace page.